Back in the Seventies, when I was a nipper, baked goods either came from adding water to the contents of a packet, or from the bakery. In my case, Bertoldo’s Bakery. Our favourite ever cake from there was the inaccurately named Honey Roll. The Women’s Weekly cookbook Sweet Old-fashioned Favourites has a terrific recipe for it, and I made it today for the cake stall at the Great Fair at the Muffet’s school tomorrow. Except I can’t do a roll. I’ve tried. I’ve failed numerous times, it always breaks. I need someone to actually demonstrate, and don’t direct me to YouTube, I don’t like watching video on the computer, it’s just a thing. So I make this one as a filled cake. 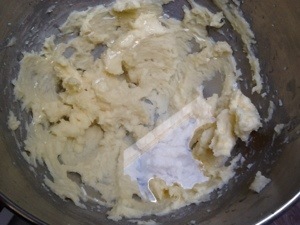 Cream together 60 grams of butter and three quarters of a cup of golden syrup. 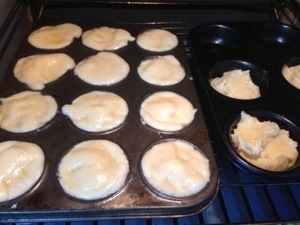 Mix in one and a quarter cups of plain flour and a teaspoon of baking powder. Also mix in teaspoons of ginger, one teaspoon of cinnamon, three quarters of a teaspoon of ground nutmeg and a quarter of a teaspoon of ground cloves. I keep the cloves and nutmeg whole and grind them as needed. I grate the nutmeg with a Microplane and the cloves in really small quantities in the trusty old coffee grinder. I don’t use cloves much. Stir in two eggs. 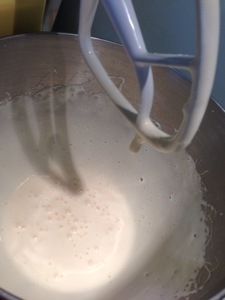 Mix one teaspoon of bicarbonate of soda with a quarter of a cup of boiling water and stir it into the cake batter. I’ve tried making one large cake and slicing in half and making two thin cakes, and I prefer the latter, especially as I do have twin round cake tins. It will be much neater if you grease the two tins, but I wasn’t in the mood, so lined them rather carelessly with baking paper. It doesn’t really matter if you don’t get it exactly even. Bake them until they’re really quite dark, about twenty minutes at 180 degrees, but do test them with a skewer. Meanwhile you do the challenging bit. I don’t know if you’ve had a honey roll, but it’s filled with a delicious confection that isn’t cream. You could whip some cream until it’s very stiff with some icing sugar and sandwich the cake with that, but it wouldn’t be right. You should really make Washed Mock Cream. Beat together 125 grams of sweet butter, 1 teaspoon of vanilla essence, a tablespoon of honey and half a cup of caster sugar. Beat it good. I have done this with hand held beater, but I am enjoying it more with the KitchenAid. Don’t try it with a fork, seriously. When it’s light and fluffy, cover the mix with cold water. Shake it for a minute, then drain the water off. Beat again. Rinse and repeat until you’ve done it six times and the mix is nearly white. 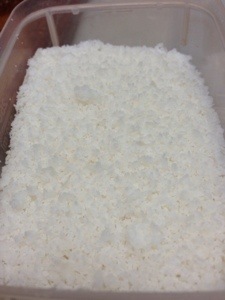 In the middle of the process is will look like cottage cheese. You need to beat it fairly severely towards the end to get it to coalesce again, it will be about the texture of cream cheese, still spreadable. 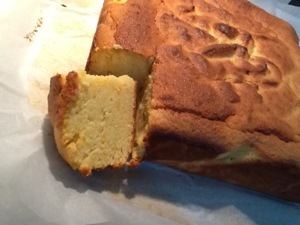 Squash it onto the bottom cake, it will be a thick layer. Snuggle the top cake onto the cream. 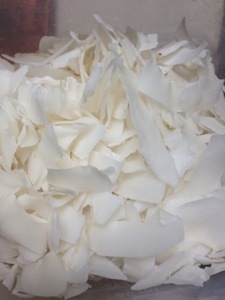 Dust the top liberally with desiccated coconut, press it down with your hand, it should stick a little. It has been boxed and delivered and I’m experiencing that hollow feeling of having sent a cake to a cake stall and never knowing what’s going to happen to it. What will they charge for it? Will it sell quickly? Will its new owner enjoy it? I should have written on the box that it keeps well and like most spice cakes is even better after a couple of days. I’m over thinking it, aren’t I.
I don’t usually make cakes, they don’t survive lunch boxes and inevitably require the use of a napkin. But a special birthday requires a special cake and so it was that yesterday I found the perfect cake recipe for a brother in law who is refusing to turn fifty and it seemed like a recipe written specifically for a Thermomix. It’s a recipe from Nigella’s How to Eat and I first made it back when my sister was editing a minor newsletter for one of those tiny companies that seem to splinter off fund managers from time to time and it had a recipe section. 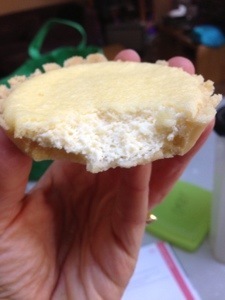 She would source the recipe and I would make it and photograph it for the newsletter and in this case take the finished product in to the kids’ school’s staffroom where it was gratefully demolished. To make it in a Thermomix, you bung in the jug 250 grams of dark chocolate, 250 grams of sweet butter, one hundred grams of caster sugar, ninety grams of muscovado sugar (or some sugar that isn’t white), two tablespoons of framboise liqueur (shout yourself, you can always put it in champagne at a later date when you want to feel fancy), and 350 ml of water into which two teaspoons of instant coffee have been dissolved. 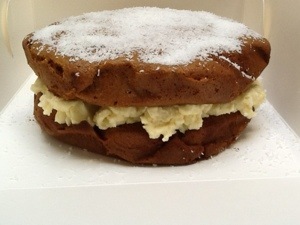 Nigella suggested 370ml, which is a cup and a half, but I did that last time and found the resulting cake a bit too wet. It is supposed to be puddingy, but I don’t want it falling apart. I may have actually used 340 ml, I just took about half a centimetre off the top of the cup and half cup measures. It was much better. I also used 70% cocoa chocolate this time as opposed to the supermarket variety 55%, and it could have stood a touch more sugar. It was rich and authoritative however, and I’d probably leave it alone. Have it with ice cream if you want more sweetness. Having put all of this gluttony in the jug, put it on 50 degrees for eight minutes on speed two. I’ve tried melting chocolate at higher speeds but it just chucks it up the walls of the jug. That should get everything melted together. If you’re groaning under the absence of a Thermomix you can melt it all together in a heavy based saucepan or a double boiler, and you’ll even have to stir it yourself. When it’s melted put in the butterfly attachment and beat in two eggs for one minute on speed three. Add thirty grams of cocoa powder, one hundred and eighty grams of plain flour (a cup and a half) and three teaspoons of baking powder. Beat again for one minute at speed three. Take off the lid and have a poke around with the spatula to make sure there aren’t any lumps. It should be a runny mixture looking, as the Moose commented, like melted chocolate. Are you sure you’re making a cake, Mum, not just a giant chocolate? 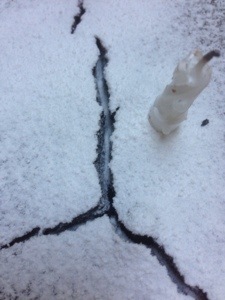 It looks rather nice sprinkled with icing sugar. It is very rich, so I served it with whipped cream. Having only ever made whipped cream with a bowl and a whisk and plenty of wrist action I was very surprised to see how quickly cream thickens in the Thermomix. Honestly, don’t let it go more than about twenty seconds, you’ll get butter, which will be entertaining, but of no use to you as an accompaniment. I’ve still got three pieces left. 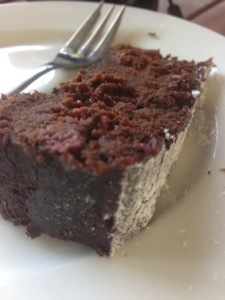 I do wonder whether I should find out if gets better with age as some chocolate cakes do, or just have them for lunch? There are still many recipes in Tish Boyle’s The Good Cookie that I want to try and I’ve had my eye on this one for a while. I’ll tell you at the outset that it tastes fantastic, but it’s no good at all. Have a go at it after I’ve gone through a few iterations. It’s a texture thing. I’m going to give you the recipe anyway. Grind together half a cup of slivered almonds, half a cup of hazelnuts and half a cup of caster sugar. If you have a terrific almost brand new blender, this will take seconds. If your almost brand new blender is taking a holiday in Western Australia you’ll need to do this in four batches in your twenty year old coffee grinder. I’m not bitter. Much. 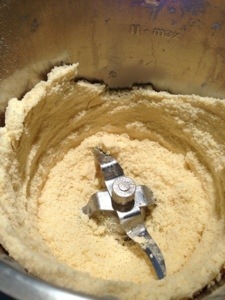 In your far more reliable KitchenAid, mix 270 grams of butter with a third of a cup of brown sugar. I think this may be my problem. The recipe specifies 9 tablespoons of butter, and I’m using a conversion of thirty grams to the tablespoon. What kind of measurement is a tablespoon? Crazy Americans. Anyway, it’s clearly too much. Next time I make this, and I will, I’ll be using significantly less butter. Maybe just 200 grams. We’ll see. 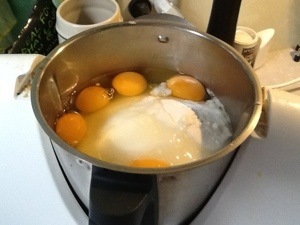 Beat in an egg. Beat in the ground nuts and sugar mixture, also half a teaspoon of vanilla extract and a quarter of a teaspoon of almond essence. Don’t mess with the flavours, they’re just right. Add one and a half cups of plain flour, a teaspoon of baking powder, half a teaspoon of cinnamon, one quarter of a teaspoon of ground cloves (you want them very finely ground, they’re very strong), and a quarter of a teaspoon of salt. Mix it up until it just comes together. The second problem is that this is a very large amount of dough. The recipe suggests pressing two thirds of it into a lined square cake tin, spreading it with raspberry jam, then messing about with cutting the rest into strips and doing a fancy lattice arrangement on top with them. 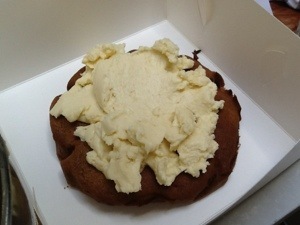 Because the dough was so soft with all the butter, the strips just blobbed in to each other. That’s another reason I think the butter measurement was wrong. I think next time I’d spread the dough out into a larger slice pan and possibly still do the lattice thing with the firmer dough. You’d need more than half a cup of raspberry jam, so buy more than one jar. Bake it at 160 degrees for about thirty five minutes. You can see that it’s very soft, but the taste is sensational. It’s definitely going in my morning tea repertoire. Once I get it right. Edited to note that a friend has very kindly pointed out, restraining herself from all forms of mockery, that a tablespoon is only fifteen grams. Doesn’t that explain a lot? In my very poor defence, I was clearly thinking of an oz. What better illustration could there be for the adoption of SI units? Tough enough to slice and toast, to survive a lunchbox, not enough fat to count as a cake and an excellent afternoon tea for growing kiddies. 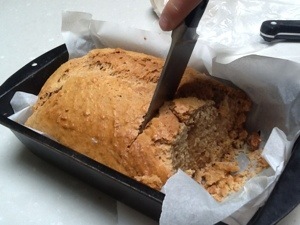 Banana bread, I can’t believe I haven’t blogged about it yet. First, take two squishy bananas. Hang on a minute, where did they go? I do think that in this age where everything is glossed over and practised and polished and photoshopped it is time for a little honesty. There I was, all ready to make banana bread. 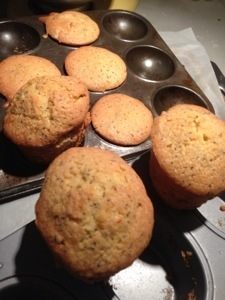 But the squashy bananas that were at their bread making peak were gone. There was only one explanation. The cleaners had chucked them in the bin. I love never having to mop my own floors, but I do think that the rubbish sorting message is not getting through to the more recent arrivals to our shores, including those with the invidious job of cleaning my house. They have in the past chucked my compost, school notes, all the recycling, odd socks, coat hangers and a cheque in the red bin. This time they had gone too far. I marched out to the bin, dear reader, and retrieved those two bananas. Yes, I did. They were still in their skins after all, but I rinsed them anyway and you’d never know what a traumatic few days they’d had. Don’t tell my children. So, take two bananas that have had a hard week and liberate them from their blackened skins into a mixing bowl. If you happen to have a KitchenAid, then get it beating at a reasonable speed and those bananas will be squashed into oblivion, leaving no unexpected chunks. Then you can toss in all the other ingredients. These are, in no particular order, two cups of flour, four teaspoons of baking powder, a teaspoon of cinnamon, half a teaspoon of mixed spice, three quarters of a cup of brown sugar, a quarter of a cup of wheat germ, a quarter of a cup of milk that the kids are complaining is starting to smell a bit off (or buttermilk), 60 grams of softened butter and two eggs. Mix it up and scrape it into a baking paper lined loaf tin. 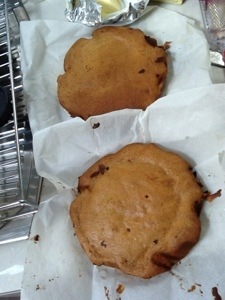 Bake at one hundred and fifty degrees Celsius for about an hour and half. Fills those tummies and uses up the fruit that I’m pretty sure they don’t eat on purpose so I’ll make it into banana bread. My husband likes to make requests of me, he thinks it makes me feel useful. Some make me furrow my brow not inconsiderably, like the “please sort out the Outlook 2010/IMAP problems”, which has defeated greater minds than mine. Some I greet with whoops of joy, like “please can I have morning tea for ten people for a meeting on Sunday morning”. Catering, but without the paperwork. 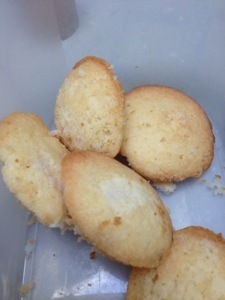 I decide to give him tea scented shortbread, ANZAC biscuits, hazelnut biscotti and something chocolate. He put on his sad face and said “but, there aren’t any ginger nuts!”. He keeps asking not to make those because he’ll just be compelled to eat them all, and then where will the schoolgirl figure be? Men. I can just about make them in my sleep, so he got a batch of those. The chocolate brownies I usually make just weren’t quite right, so the kids get them (there’s only three pieces left). I’m wondering if Pepe Saya butter isn’t so great with chocolate or what’s going on. It was the perfect opportunity to make some chocolate mint slice, something I’ve been contemplating for quite some time. I knew what I wanted was a more robust version of the after dinner mints that I’ve stopped refining because I kept eating them. The Internet wasn’t the place for recipes because a mint slice appears to be one of those weird recipes that people want to make with crushed up mint chocolate bars. Why wouldn’t you just eat the chocolate bar? Women’s Weekly Cakes and Slices had the closest to what I was looking for, but it will need to undergo further refinement, so let me know if you want to volunteer for testing. Mix together 2/3 cup of flour, 1 teaspoon of baking powder, 2 tablespoons of cocoa powder, 1/4 of a teaspoon of bicarbonate of soda, 1/3 of a cup of caster sugar and their grams of softened butter. 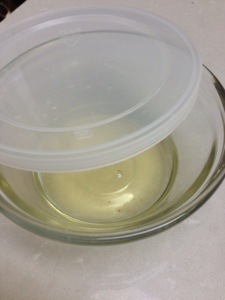 Stir in a third of a cup of water. Stir in an egg. Pour this lot into a baking paper lined 25 by 30 cm slice tin or, in my case, roasting pan. Bake at 180 degrees for about twenty minutes. I was happy with the peppermint filling. You mix a tablespoon of vegetable oil with two and quarter cups of icing sugar and one and a half teaspoons of peppermint essence in a heat proof bowl. Actually, it doesn’t mix at all, so you add in three tablespoons of milk. When you’ve incorporated most of the icing sugar and you have a stiff paste, starting mixing it over a saucepan of boiling water until it becomes spreadable. I’d suggest wrapping you hands in a teatowel, steam burns are unpleasant. 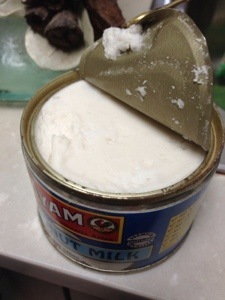 If you can’t get it to form a paste, add a touch more milk. The recipe oddly didn’t specify the amount of peppermint essence, but I thought one and a half teaspoons was about right. 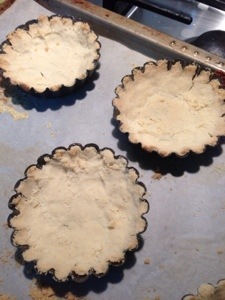 Spread the paste over the slightly cooled base. You want to wait a bit, otherwise you’ll tear the base up. Stick this into the fridge until it’s firm. They then suggest melting 125 grams of dark chocolate with 90 grams of unsalted butter (in a bowl over boiling water) to spread over the top. Now I know from experience that if you just melt straight chocolate and spread it on the slice you’ll get a chocolate layer that is very delicious but impossible to cut without shattering unless you want to muck around with a hot knife. The butter is to make it softer, but as it turns out I think this combination is too soft, you have to lick your fingers after eating. I might try 40 grams of butter with 170 grams of chocolate next time. I’m also going to try for more of a biscuit base next time, then I can have the soft chocolate on top and serve it refrigerated. Or if I stick with the cake base, a much firmer chocolate layer. 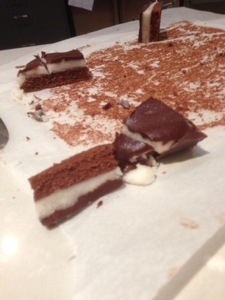 I wouldn’t mind trying this version of peppermint fondant in an after dinner mint either, maybe in disc form dipped in chocolate. But perhaps I should be thinking of my schoolgirl figure. The cupboard is bare, so what shall I make? 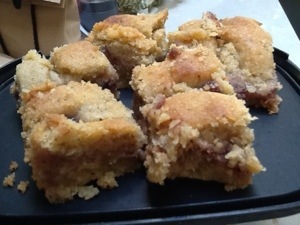 I know, raspberry slice. 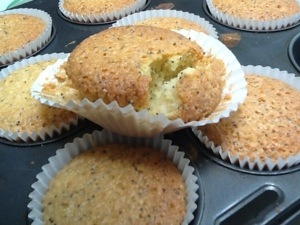 But I’ve already blogged about that, so lucky for you I’m also making orange and poppyseed friands at the special request of the Horror who very kindly didn’t give his piano teacher a nervous breakdown yesterday. It makes a nice change not to have to reconstruct the poor man before sending him on his way. 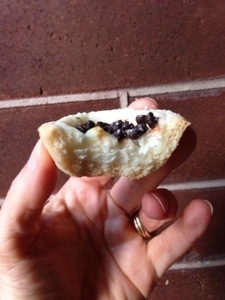 Friands are based on almond meal and icing sugar. You can get almond meal at the supermarket most of the time, but sometimes you find that only slivered almonds are available, and then only in a one kilo bag. You take them to the checkout and spend some quality time noticing that the pink lady behind you seems to not only have applied her own fake eyelashes, but to have actually made them herself out of what appears to be black cotton and hairspray. These are harsh economic times, my friends. You can convert your slivered almonds into almond meal quite easily with the cup attachment on your stick mixture. At least, you could if you hadn’t fractured it while trying to convince it that it was just as good as a Thermomix. Failing that, a blender will also do an adequate job, though the resulting meal won’t be as homogeneous as one would like. It’s OK, though, we’re not making macarons. 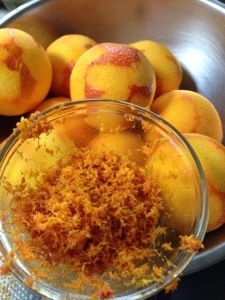 With your fingers, mix in a bowl the dry ingredients. These are one cup of almond meal, one and two thirds of a cup of sifted icing sugar, three quarters of a cup of plain flour, half a teaspoon of baking powder, the shredded zest of two oranges and a tablespoon of poppyseeds. 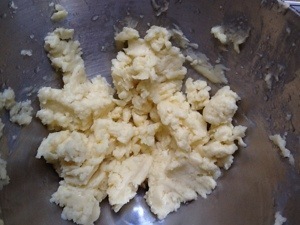 Mix in five egg whites, then 125 grams of melted butter. 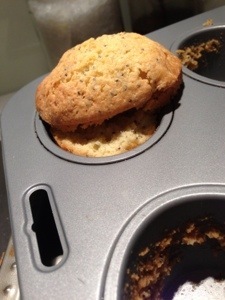 You can then spoon the mixture into very well buttered and floured friand tins, or make life easy for yourself and use paper muffin cases. 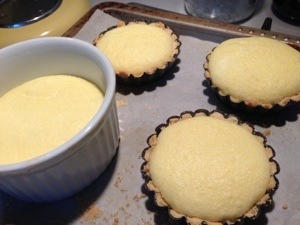 These don’t rise very much, so if using the friand tins you can fill them nearly all the way up so they do that cute little break in the middle as they rise out of the tin. This is the only flavoured friand recipe I’ve found (Donna Hay again) all other so called flavours just have bits of fruit piled on top. The flavouring has to be dry not to mess up the recipe. I guess you could use dried fruit, but isn’t very friand like. I’m working on a pistachio one, but the Horror thinks I have a way to go. It’s tricky, because every time I buy shelled pistachios they get all eaten. You can also use three eggs instead of five egg whites in this recipe, it’s a little richer. 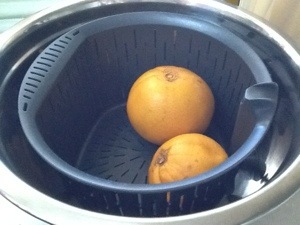 You could use other citrus zest too, but not lime, whenever I use lime zest it goes all brown and chewy.